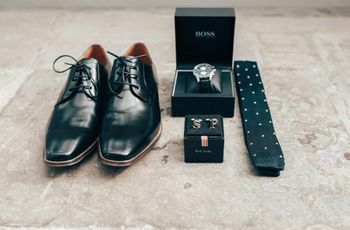 Your Essential Guide to Men’s Wedding Rings | Wedding Tips ARE YOU A SUPPLIER? 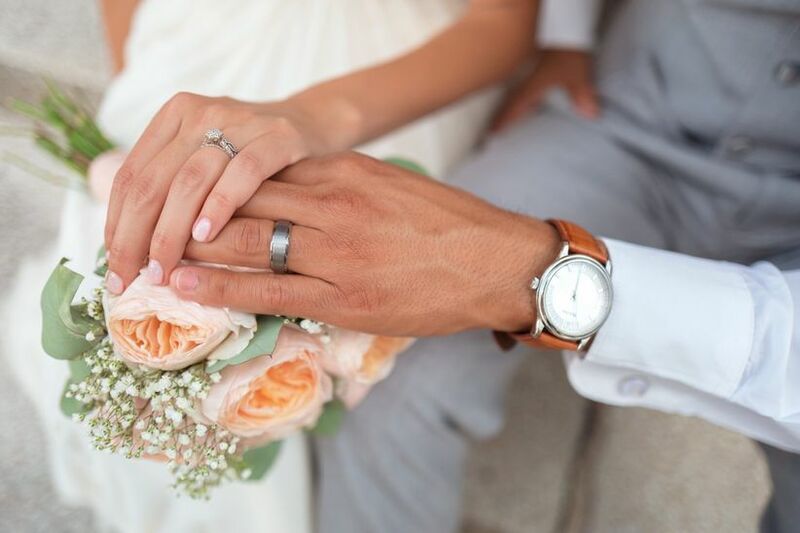 Choosing a men’s wedding ring for yourself or your partner? Here’s everything that you need to consider. Choosing a men’s wedding ring is no easy feat. This is a band that he’ll be wearing every day, so it has to be something that the groom absolutely loves. 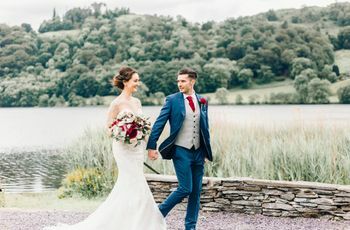 Whether you’re choosing a wedding ring for yourself or asking your partner to surprise you, we’ve got everything you need to consider - from materials to design - laid out in this handy guide to make your job just a little bit easier. This is your essential guide to men’s wedding rings. When it comes to men’s wedding rings, you need to think about more than just looks. It’s important to consider the lifestyle of the guy who will be wearing the ring to determine what kind of band will work best for them. If they work in the trades, do a lot of heavy lifting at the gym or tinker away with tools in their free time, they will probably require a thicker, sturdier band. If they’re lifestyle is less demanding for their digits, you can probably consider something more delicate. Speaking of sturdiness, the type of metal used to craft the band will play the biggest role in its durability. 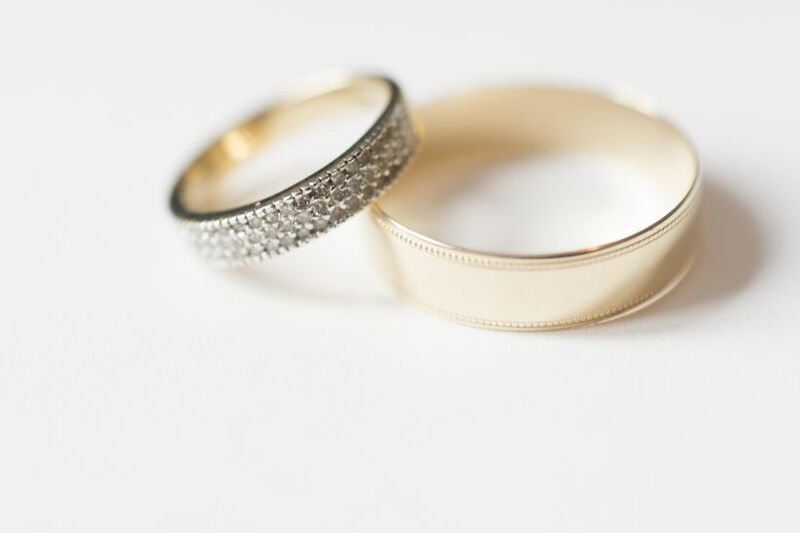 Yellow, rose and white gold wedding rings tend to be on the softer side. 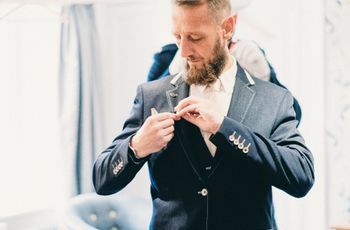 If you go with one of these options, you may want to choose a thicker style (especially if you’re shopping for a man who works with his hands). By contrast, platinum, palladium, tungsten and titanium wedding rings are much more durable. With one of these metals you could choose a thinner band style and it would still withstand a lot. Of course, the metal you choose will also have effect the cost. Platinum is the most expensive, so you’ll want to steer clear if you’re trying to save money. Softer metals can be mixed with less expensive materials to make them more durable, which tends to put them on the less expensive end of the spectrum. Don’t be afraid to ask your jeweller about the metals they offer and their price scale. Once you’ve figured out what type of metal you’re working with and how thick you want the band to be, you can move onto finer details. 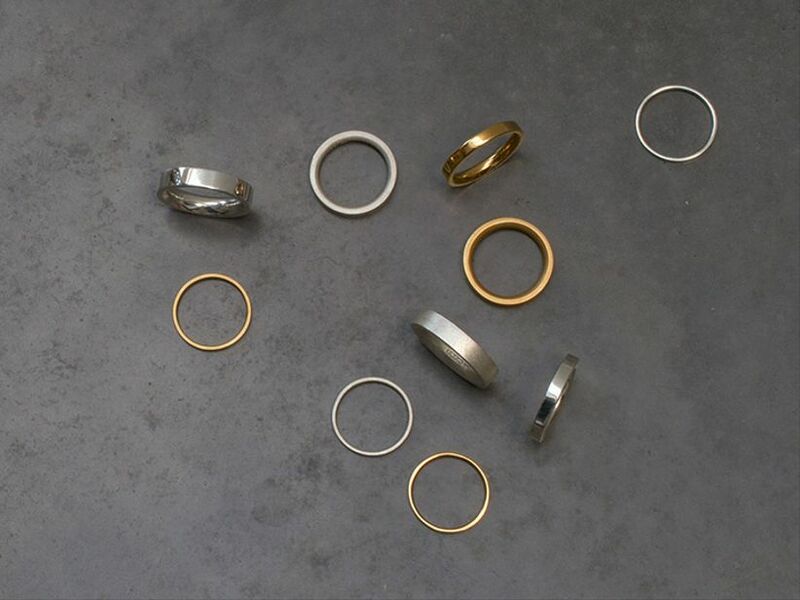 While men’s wedding ring styles aren’t as varied as women’s, you’ve still got options. Rounded styles are a bit more classic while squared-off rings have an edgier, more masculine look. If you want something completely different you could go with a braided band or a ring with a design etched onto its face. The finish you choose will also change its look. The most popular styles are shiny, matte and hammered (remember, if you can’t choose just one, you can do a combo). Men’s wedding rings usually don’t boast big diamonds like women’s engagement rings, but you can totally add a stone or two if that’s your style. If you’re looking for something a touch more masculine, deeper gemstones like onyx, sapphire and black diamonds will probably be right up your alley. P.S. If you’d rather skip the stone but want to add a little somethin’ somethin’ to your wedding ring, think about asking your jeweller to etch your partners initials or a short passage into the inner part of your band. As with any other luxury band, men’s wedding rings should have two quality marks: the manufacturer's mark (which guarantees that the jeweller has endorsed the work) and the quality mark (which guarantees the type of metal used). These should be tiny engravings on the inside of the band, smaller than any inscription. Last, but certainly not least, you’ll need to get the ring sized. When it’s super warm or cold, fingers swell and shrink, so keep that in mind when trying to decide on the tightness of your band. If you need help, your jeweller should be able to point you in the right direction.